On your first visit to us, we would ask you to arrive at the practice 10 minutes before your appointment time; this is so you can complete a medical and dental questionnaire (PDF). Please rest assured that all information you provide is strictly confidential. You will be called through to meet your Dentist and his dental surgery assistant. We take the time to discuss any dental problems you are having and listen to your concerns. Your dentist will also talk through your medical form, discussing any relevant issues. Once we have completed this, we will carry out a thorough dental examination and oral cancer screening, checking your teeth, gums and surrounding tissues. We use the latest technology such as low dose digital radiography and intra oral cameras, which allow us to demonstrate to you any problem areas and help you understand treatments available to you. Note: We use Digital x-rays, which reduce radiation by up to 80%. It is very important to us that you understand and are involved in the diagnosis and treatment planning. We will give you a range of treatment options for consideration. We work with you to ensure you are fully informed and thus can make the appropriate choices for your treatment plan under our clinical guidance. We are very open and clear about the cost of proposed treatment, and give every patient a detailed treatment plan with a written estimate of costs. 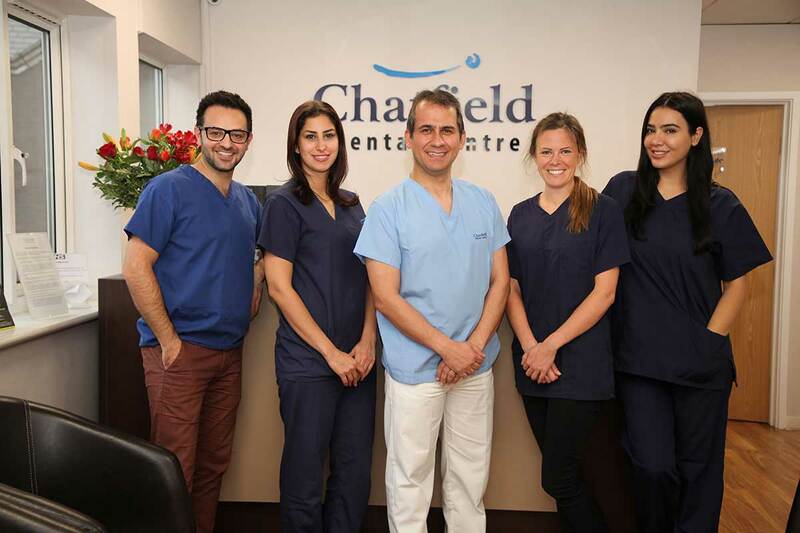 Chatfield dental practice welcomes dental patients from Battersea, Wandsworth and other places.